Register Log In ECN Forum Forums Violation Photo Forum Re: Service Violations? 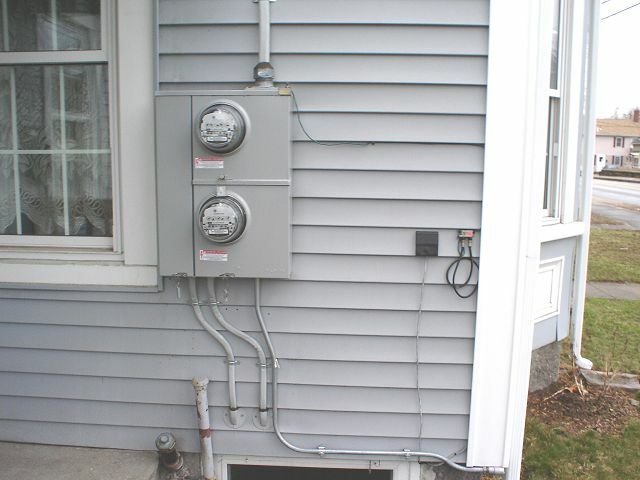 My boss had found this service installed back in 2004 by an electrian in Dudley, MA. This was approved by the AHJ although there were a few things we felt are not correct. 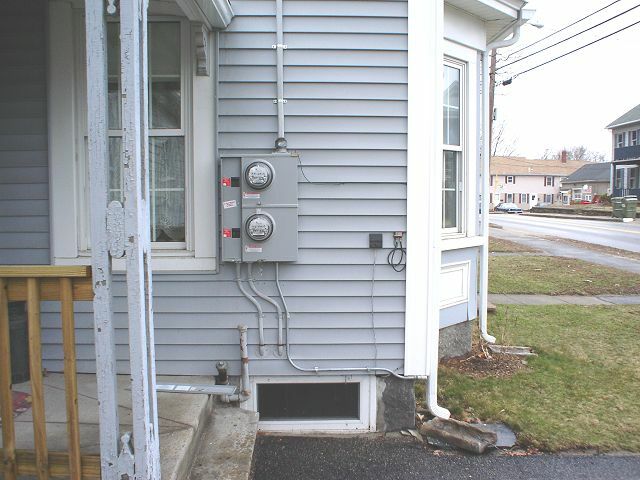 It will be interesting when the heating oil guy messes up someday and drowns the whole thing. Other than the se cable not being protected what else is wrong? the steps encroach on the enclosure. SE cable appears comming out of the disconnects. Code requires SER cable providing seperate ground after the disconnects. Also within 3 ft. of area susceptible to physical damage.